It’s Monday morning. You sit down at your computer to tackle the mountain of emails that poured in over the weekend. After replying to your colleagues with a few perfectly placed cat GIFs, you’re on your way to tackle whichever project is next. But have you ever thought about what actually happens when you hit “send”? Maybe you haven’t — and maybe you don’t care — but I can guarantee you there are people at your company who do — and they also care about what you do with your personal email (stay tuned for another article on what your email marketer wishes you knew). Sending an email often happens at close to the speed of light, but there are a lot of steps in between you hitting send and the recipient seeing that adorable cat GIF. Check out the Lucidchart diagram below for a summary of this process. The first thing you need is an email client — think Gmail, Yahoo, etc. This is where you type up an email and hit send. From the client, the email is delivered to a simple mail transfer protocol (SMTP) server where it is queued to be processed. Once the email is processed, the server needs to look up where the receiving domain is located. This is done with a domain name system (DNS), which returns the IP address of where the email is going back to the SMTP server. Now, the SMTP server knows where to send your email. The next step is for your SMTP server to connect with the recipient's SMTP server. The IP address is delivered to your router and finds the fastest path to your recipient’s inbox. The email is then passed through a firewall into the internet — where it hops from router to router until it reaches your recipient’s firewall. The firewall passes your email to the recipient’s router, which directs it to the recipient’s SMTP server. The SMTP server checks with a DNS server, which validates the sender is who they say they are; if they are valid, the SMTP says it’s ok to send the email. Important note: All of this happens before the email is actually sent. It happens just to establish a connection. Basically the SMTP servers are just saying a pleasant hello to each other. Once the receiving DNS says it’s ok to send an email, the sending SMTP pushes the email to the router for delivery. The router breaks the email into individual packets, making it easier to deliver the email. The packets are then sent one at a time through the process already described above. Once it reaches the recipient’s router, the packets are put back together and transferred to the recipient’s SMTP server. The recipient’s SMTP server checks the domain against an internal spam list and/or an external spam database. If it passes this initial spam test, it is queued to go to a POP3 Mail Server (post office protocol 3), which is used to receive emails to a local email client. This server allows you to download the email message to your local computer. 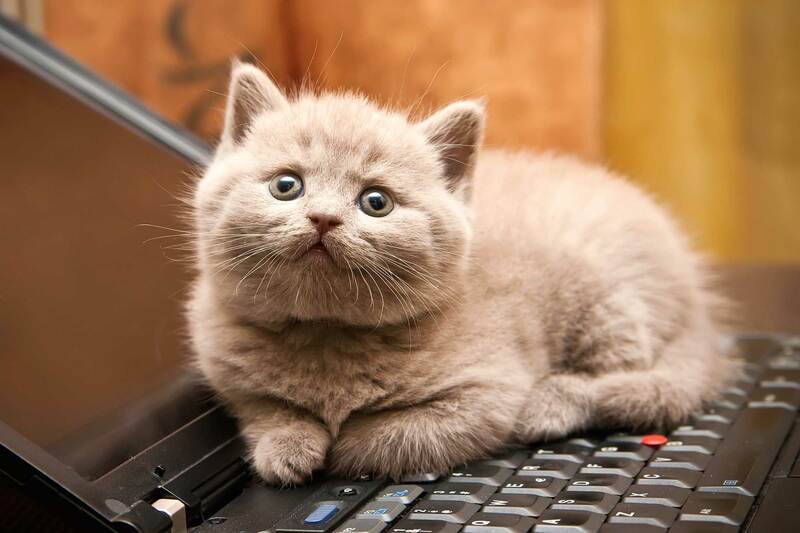 It is checked by a few more spam filters before being viewed in the recipient’s email client — and they can finally see that adorable cat GIF. Again, keep in mind — this process happens insanely fast. Think about this the next time you draft up an email. What a time to be alive. This Lucidchart diagram summarizes the process we just discussed. Now — why should you care about any of this? What you send, especially through your corporate domain, affects the deliverability of your marketing emails, which at most companies are an important part of the lead acquisition and nurturing process. If you send a bunch of crappy emails to fake email addresses or email addresses that don’t want to hear from you, not only are you breaking CAN-SPAM regulation, but you’re also hurting your business. Spam complaints and hard bounces mean your future emails won’t get delivered. I can promise your sales and marketing teams will not be pleased about that. 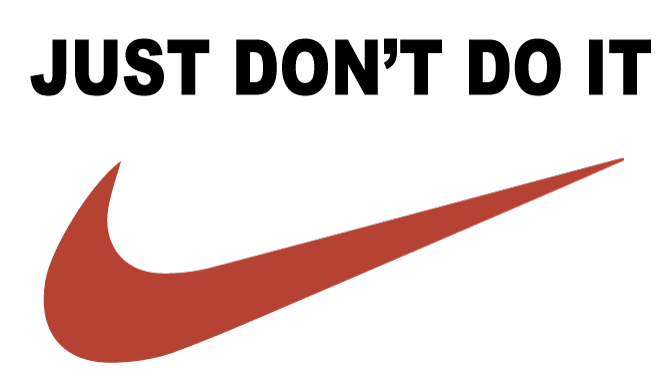 This is one of the few times you should NOT follow Nike’s advice.